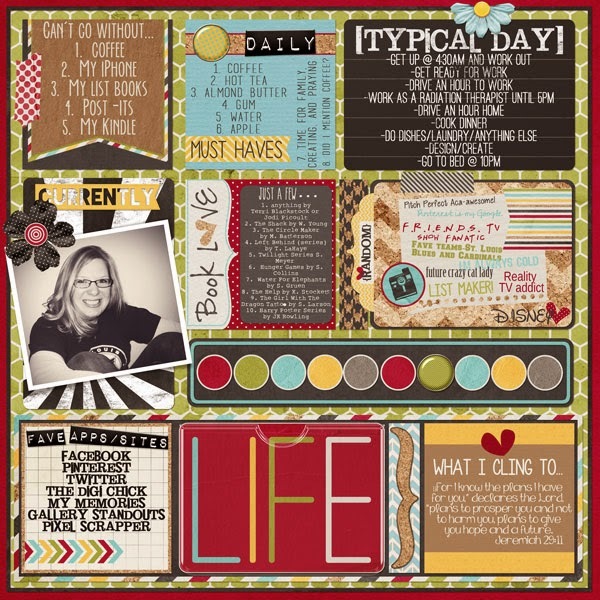 MyMemories Blog: Meet Today's Daily Designer.....Heidi Nicole Designs! 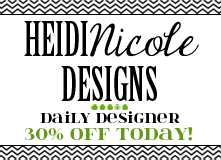 Meet Today's Daily Designer.....Heidi Nicole Designs! Hey guys! Heidi from Heidi Nicole Designs here! Thank you so much for your love and support since I’ve been here… it’s truly been a blessing. I started paper scrapping and card making in 2000, and made the switch to digital in 2010. I love that it takes up a lot less space and money (and my family loves that they don’t have to move stacks of paper just to eat dinner at the table)! I’ve been designing for about a year, and I have found that it’s definitely my passion. I absolutely LOVE taking a color palette and coming up with something that I think will help document your family and friend’s memories and photos. I think I had one of those elusive ah-ha moments, when I could look around me and see that I have a career, a family, and a passion. I am a Radiation Therapist by day, and a designer by night. I use creativity in both, but in very different ways. I enjoy what I do and I love that I can see that I’ve made the people closest to me proud. I know that no matter what I do and where I go, I will always be creative. It may change over time, just as my scrapbooking has, but I feel like I need that creative outlet in my life. I haven’t been doing much scrapbooking myself, but I will get back to it and get some layouts done. I mean, come on… it’s my story… if I don’t tell it, who will? Many blessings to you all and don’t forget to enjoy 30% off in my store today! Also love that we are kindred spirits. Congrats on being Designer of the day Nicole :) I love your work!